On the way home from the golf on Saturday I passed a display of vintage vehicles in the street. 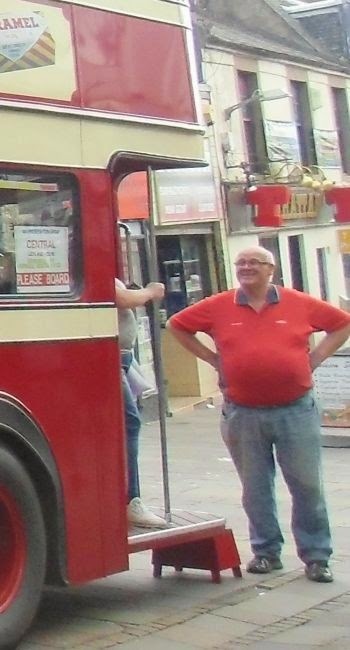 A great attraction was a Leyland Titan 484 bus. I could not resist going back later and checking the bus out. I also took some photographs of the cars and will post them later. The 484 Leyland Titan bus above was operated by Central SMT from 1929 until 1976. 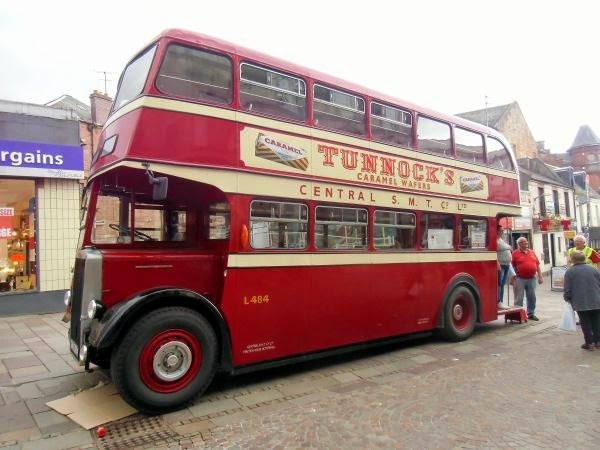 The above vehicle entered service on 4th October, 1954 running from the bus depot in Bothwell Road in Hamilton to Cambuslang and Newton starting at 04.00 and returning to the depot at midnight. The route can be seen on this map. The was formed in 1926, when the Glasgow General Omnibus Company was formed in Hamilton! A few years later it formed new ties with the Scottish Motor Traction company (SMT) of Edinburgh. Glasgow General expanded its Lanarkshire operations through acquisition of small independents and built Waterloo Street Bus Station in Glasgow in 1929. More of the story of Central SMT can be read here. During that time there were many steel-making works in the Cambuslang/Newton area and as many people did not own cars, the service was well used. In March 1967 it was transferred to Nerston in East Kilbride and was then withdrawn from service. It was sold on 29th May 1969 to George Wilson of Stonehouse, who used it to transfer his workers to sites in East Kilbride for his building company. It was acquitted by a member of the 484 Preservation Group in October 2005 and preserved with a £50,000.00 grant from the National Heritage Lottery Fund. 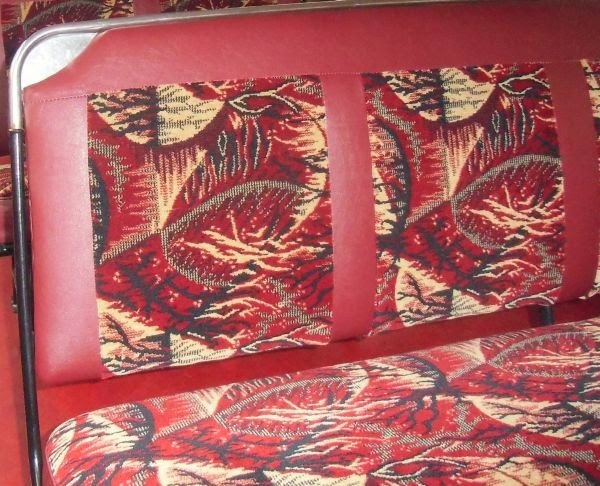 The seat fabric was no longer available and was made specially by a local company to make the interior as authentic as possible. The upper deck had long seats with a passageway to the right. 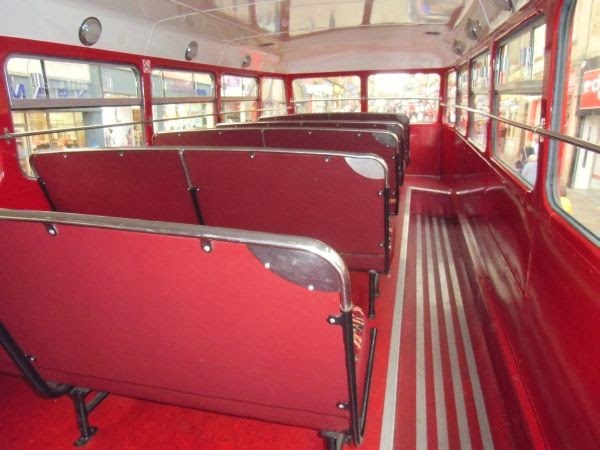 The roof of the bus was low and so it was essential for passengers to bend to avoid hitting their heads on it! 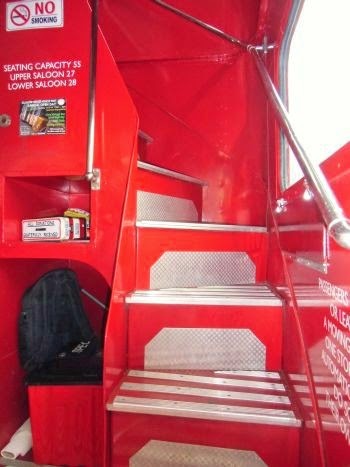 The bus had an open doorway which would not be allowed these days in case someone had an accident and fell from the bus. It also must have been quite draughty in the winter. 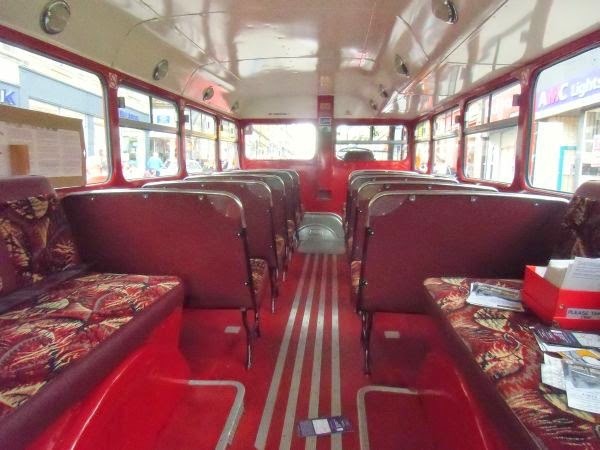 The 484 buses had hopper windows and of the original 13 windows, only 5 were of any use. McGregor Young in Coatbridge is a company which manufactures windows and they were able to make windows for the bus to the original design. More about the work of the 484 Preservation Group can be read here. 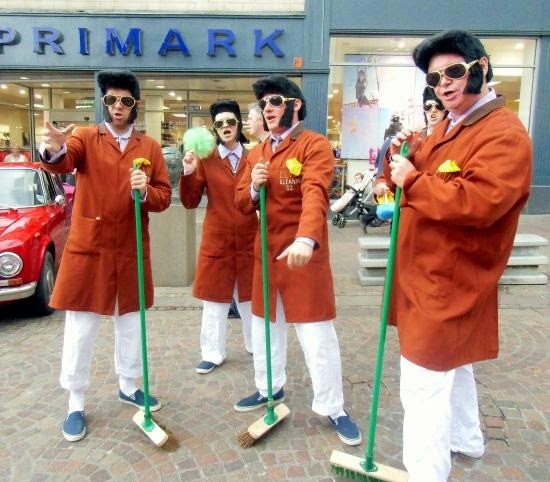 Keeping the cars clean were a group of cleaners from the Elvis Cleaning Co. The certainly added some entertainment to the shoppers and also were good at singing!